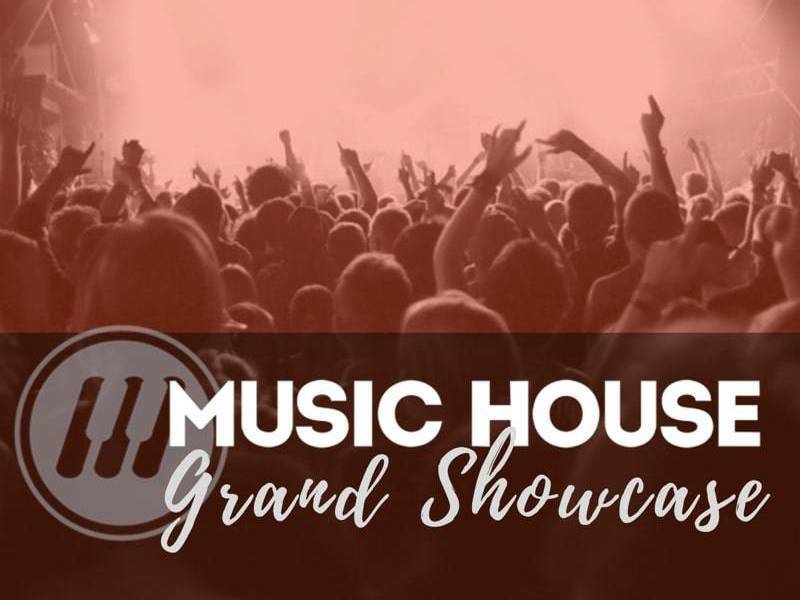 One of the added perks of being in a band at Music House is performing out in the community. 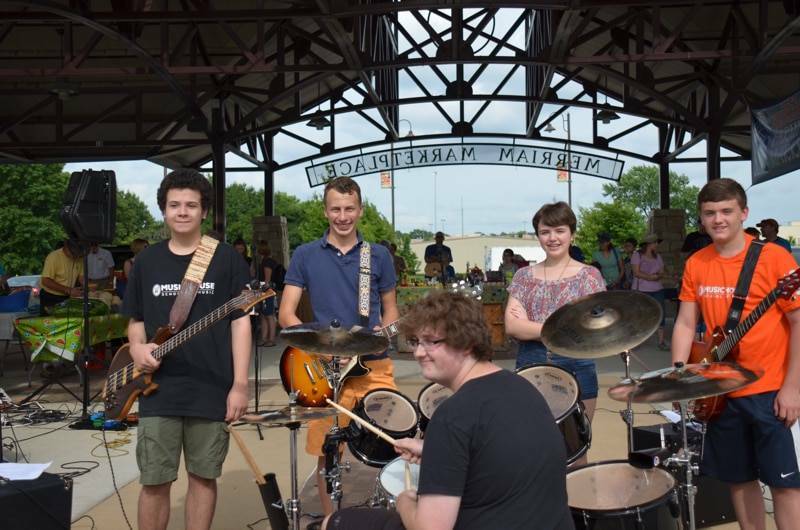 In June two of our bands performed at the Merriam Farmer's Market. And they really rocked! Performing an extended set list at events like this gives the bands a chance to really show what they can do. 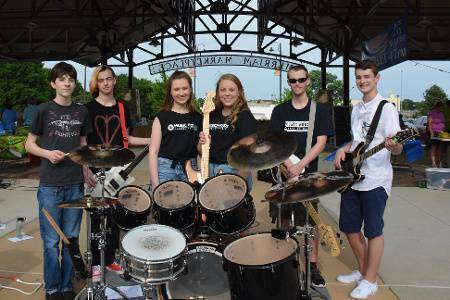 Music House band "Scrap Metal" is an intermediate band at our Lenexa location and features Quinton Lathrom-drums, Logan Fancolly-bass, Emma Mathieson-vocals, Paul Reynolds-guitar, Trent Hailey-guitar, and Nathan Cottrell-guitar (not pictured). They often like to play rock music, but are currently writing a country song. Some of the band members are into country music and others are into metal, so they play a variety of genres. Many of them have been together for over two years and a few members joined in the past year. They started out at the Rock Band level, then auditioned to move up to become an intermediate band. Ampersound, an Advanced Band at our Overland Park location, has been together as a band for several years with just a few changes in the line up. They like to play mostly rock music with of hints of hard rock, pop, and even some metal. Their original music and choices of covers are very guitar driven and heavy, but they have a great balance of power and melodicism within their sound. It's a larger group and they all have VERY different tastes in music, which comes out in their playing and performances; it gives them a pretty unique sound, which makes them awesome to watch! 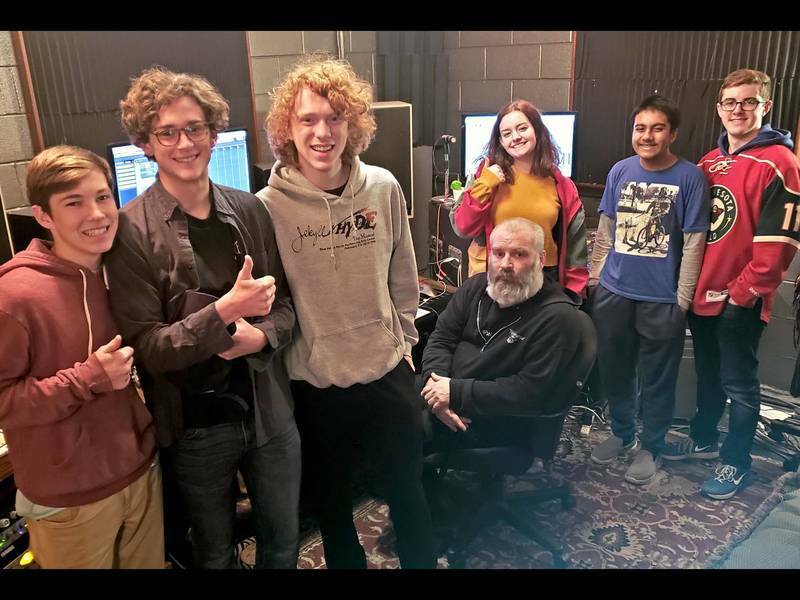 The members of Ampersound are: Tate Clemon-guitar, Noah Fleming-bass, Kevin McAfoos-drums, Drayson Ridley-guitar, Sydney Van Ophem-guitar, Sophia Ragomo-vocals. Madison Van Ophem, keyboard, is also a member of the band but is not pictured. Band Workshops are a great way to polish your musical skills, keep learning new material, and have a lot of fun in the process. Getting to perform concerts at different community venues just makes it even better.